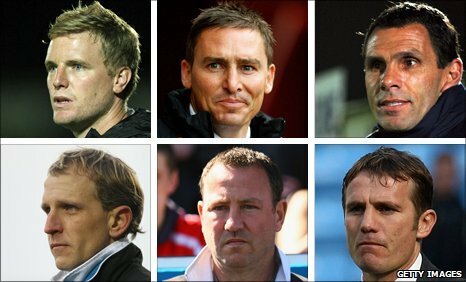 BBC Sport's club-by-club guide to the 2010/11 League One season, from Bournemouth through to Charlton Athletic. Last season: Second in League Two, promoted. Strengths: The country's brightest managerial prospect and a young, energetic side, whose style of football will be much more suited to the better playing surfaces in League One. Weaknesses: Not a massive amount of League One experience in the squad and a possible lack of firepower up front. Key Man: It looks like Bournemouth will again rely on Brett Pitman for goals. Midfielder Harry Arter has shaped as though he could make a big impact after signing from non-league Woking. Strengths: Scott is a respected manager who has a yeomanly coach in Terry Bullivant and is regularly successful in the loan market. The Bees also have a trustworthy striker in Charlie MacDonald and a good defensive record. Key Man: The time former Newcastle and Wimbledon striker Carl Cort had on the pitch last term was impressive. If he can stay fit he could be useful. Strengths: Poyet has his side well organised, Albion do not concede many goals. Weaknesses: The lack of a prolific striker means that Albion are short on goals. The Seagulls scored just 26 at home in the league last season, only Oldham and Stockport scored fewer. Key man: Defender Gordon Greer has arrived from Swindon and will in all probability be named captain at the Withdean. Strengths: Finding goals from midfield. Without a prolific striker, Rovers shared the burden last season and could well do that again. Weaknesses: Trollope has gone for quality over quantity in the transfer market this summer, so a run of injuries could leave them exposed. Key man: Defender James Tunnicliffe has joined on loan from Brighton. If he impresses, it will help improve Rovers' woeful defensive record. Strengths: The Cumbrians are well drilled and have experience in the shape of Ian Harte and Graham Kavanagh, while former Chelsea midfielder Tom Taiwo remains a genuinely classy prospect. Weaknesses: Goals - Abbott's side relied on defender Harte to provide most of their firepower last season, Joe Anyinsah with nine was closest to the Irishman's 16 league strikes. Key man: Following the loss of Richard Keogh and an injury to Danny Livesey, Harte's performances at centre-back will be as important as his goals. Last season: Fourth in League One, beaten in play-off semi-finals. Strengths: Richard Murray's takeover will resolve the disruption at boardroom level and perhaps allow Parkinson to strengthen the squad further after the arrivals of Simon Francis and Pawel Abbott. Weaknesses: The exits of Nicky Bailey to Middlesbrough and Jonjo Shelvey to Liverpool have shorn the Addicks of two of their key attacking threats. Key man: Flying winger Kyel Reid needs to live up to his potential and fill the attacking void. On his day his pace can cause problems. Reporting by Matt Newsum, BBC Radio Solent's Kris Temple, BBC London's Billy Reeves, BBC London's Mike Lawrence, BBC Sussex's Jonny Cantor and BBC Radio Bristol's Ed Hadwin.